Our 20 person training room and conference room at Peachtree Offices BridgeSpace can accommodate 20 people. High speed Wi-Fi, large screen TV, on-site cafe, business lounge & free Parking. Flexible layout for theater, banquet and classroom style meetings. A preferred vendor list is available for catering. Located at 6451 N. Federal Hwy. Ft Lauderdale, FL. 33308. 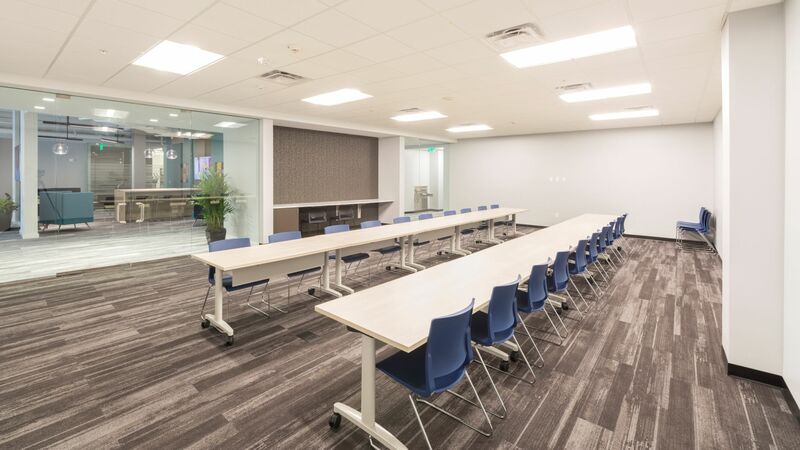 To inquire about booking this room contact Michael Gudger at 954-256-0946 or email him at michael@peachtreeoffices.com.